When do I know that I need to see a counselor? If you think that you may need to see a counselor, you probably need to see one. We help with a number of issues at the Counseling and Consultation Center. These issues may include personal, career, academic, relationships and academic concerns. If you have questions, it can’t hurt to stop by and consult with a counselor. Why should I go to counseling? I’m not crazy! This may sound familiar. There is usually a fear that if a person has to receive counseling, then they must be crazy. THIS IS NOT TRUE. Many people attend counseling because of a crisis. These crises’ include conflicts with friends or romantic partners, conflicts with family members, adjusting to college life, feeling overwhelmed by academics, stress, depression, grief and homesickness. All of this drama can interfere with successful academic functioning. What will it be like to attend a counseling session? Your session will last from between 45-50 minutes. You will be treated with respect regardless of the issue that brought you to the Counseling and Consultation Center. You will be assisted in expressing, understanding and finding solutions to your problems. Feel free to bring a trusted friend if you are nervous about attending therapy by yourself. Will I have to pay for services at the Counseling and Consultation Center? 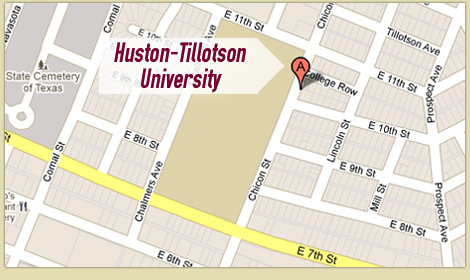 Students who are currently enrolled at Huston-Tillotson University will not be asked to provide payment for counseling. Are you going to tell my parents what I say? Your parents will only be involved if you decide that it would be best to do so. If this were to occur, then you and the counselor would work together to decide the best way to speak with them. Counselors can not disclose anything to parents without the student’s written consent. Exceptions to this are if you are at danger or harming yourself or others and instances of child or elder abuse. I’ve heard if your faith is real strong you don’t need counseling. Is that true? The Counseling and Consultation Center believes that faith is central to one’s identity and that counseling and spirituality can be closely related. Counselors will attempt to incorporate a student’s spirituality while they are seeking to resolve their problem. Can’t the counselor just give me a solution to my problem? Your counselor will help you to find the answer that best work for you. You are the expert of your life, and your counselor’s goal will be to help you better understand your problem, find alternative solutions and empower you to resolve future problems.